for your hat and heels. to be the first matter, the philosopher’s stone. used mercury as a medicine. in eyedrops, vaccines, and dental amalgams. and is still used in mascara. producing felt hats and mad hatters. and to trap flakes when panning gold. 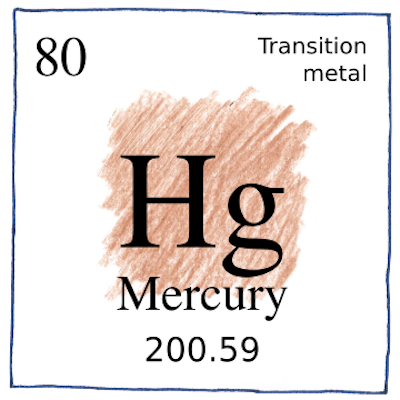 inhale mercury vapor, or eat it in fish. senses and coordination, disturbing sensations. and used in thermometers and as electrodes in chemical processing. The alchemist’s prima materia was the matter from which all other matter was derived, and that would, on its touch, convert other matter to itself, a kind of ice-nine for all matter.